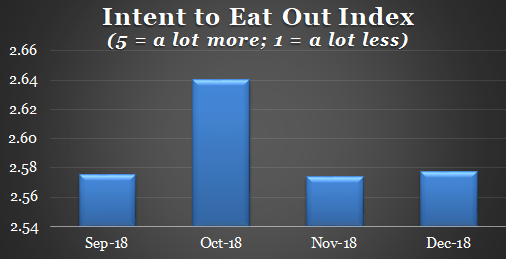 RR Intent to Eat Out Index has rebounded slightly in December, reflecting a surge in those planning a "lot more" visits for the coming month among those aged 25+. 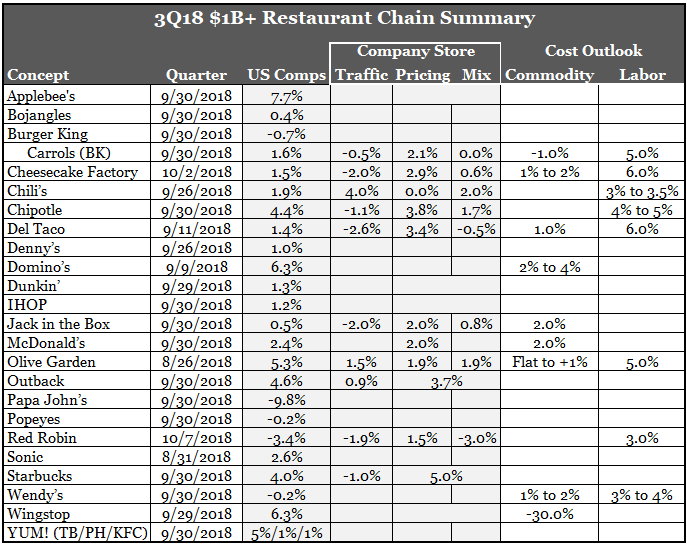 This is not surprising given QSR's recent push towards $5 bundle deals which are more expensive for those under 25 years of age. Notably, the $6 price point bundle mix reached an LTM high (7% mix). 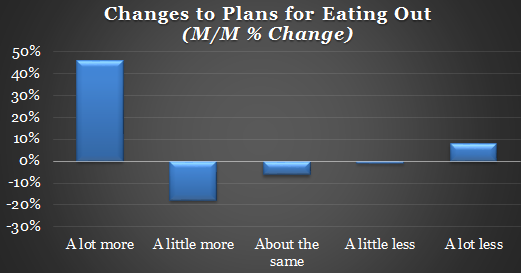 FSR also increased the composition of its higher priced $10 - $11 promotions to an LTM high while halving the composition of its lower $6 priced point promotions to just 6%.